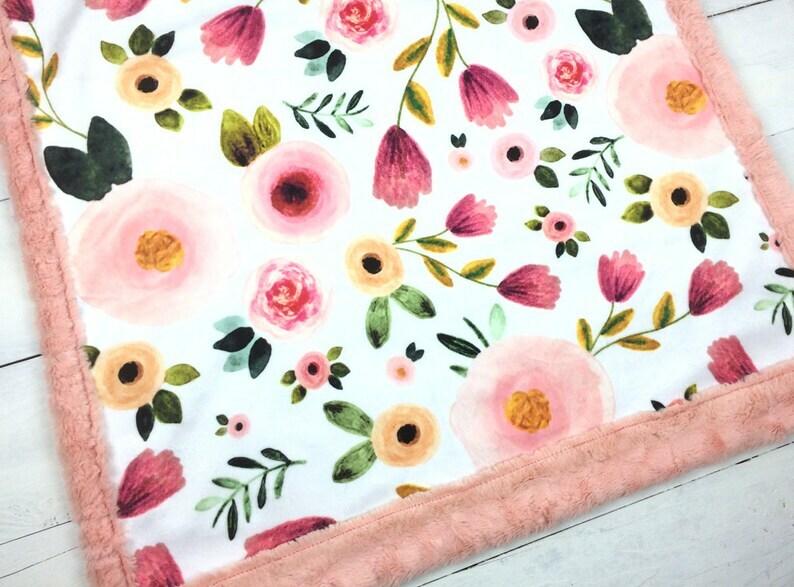 Floral blanket, peony rose popy baby blanket, Baby Minky blanket, girl blanket, pink peach blanket. 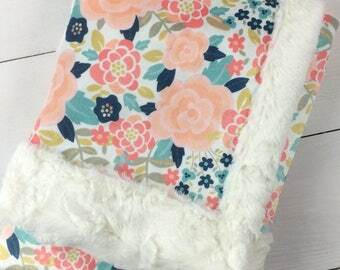 Beautiful and cozy two layers minky blanket, nicely finished, with a gorgeous floral design in peach pink and mint. Both sides are minky, for even more softness. Give this little girl a sweet blanket to dream big! Perfect gift for a new mama. Also available in toddler, older children and adult sizes. You can have 1 or several names embroidered on the back. Let me know in the NOTES TO SELLER section at checkout the name(s) you would like. Please write the name/text you want carefully, and double check the spelling! I was looking for something special for my first grandchild. I could not imagine a more beautiful keepsake. The print is so softly feminine and the minky is highest quality. My granddaughters monogrammed name in the corner added the perfect touch. It’s really very special. This seller is exceptional and was very helpful in answering all questions promptly and offering great suggestions. It was a pleasure. 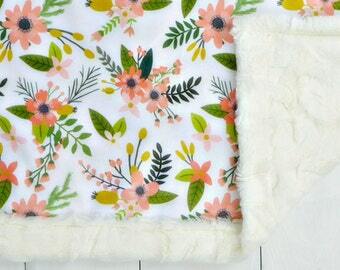 Very happy to recommend this gorgeous blanket and seller! The blanket was a gift for a coworker having a baby girl. She lovesit and can’t wait to use it when her daughter arrives. Second time purchasing from here and the first blanket I bought as a gift still gets rave reviews. Wonderful customer service and the product was spot on PHENOMINAL!